“Up for your consideration today is a extremely nice Micromoog. This is a late unit built in 1980 and has all the latest revisions and has been fully serviced. 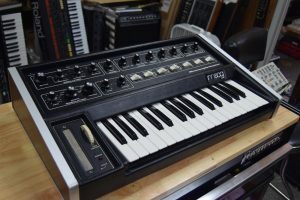 This synth has been taken very good care of and it shows! !